Before purchasing any cloth nappies, we did what anybody would do when face with a potentially large spend, we researched. In the hope of narrowing down what we wanted from our cloth nappies we purchased a tester pack that contained three of the larger brands, one of these was a Charlie Banana One Size nappy. Now during our research Charlie Banana had rapidly become one of the forerunners for a brand that we were likely to use. We’d watched videos, and we’d read things online. We liked that they seemed easy to use, that there were not too many poppers on the front, and we absolutely loved the bright designs. I was delighted when we received a Charlie Banana nappy in the tester pack. We immediately went about putting it through its paces with all the enthusiasm of soon to be parents. We liked these nappies a lot, and ultimately only went with a different brand at the time due to their cost. Firstly, we have to say we loved the colours and designs. Bright and bold, many Charlie Banana nappies are statement pieces that you wouldn’t really want to cover up (roll on summer). One of our favourite nappies is the pink coloured one with robots, it just stands out amongst our already bright collection. As of 4 months old we’ve had to deal with a fair number of nappy leakages but as of yet Charlie Banana has been leak free! We tend to use both inserts at all times with Charlie Banana and they hold up well for your standard 2 to 3 hour nappy stint. 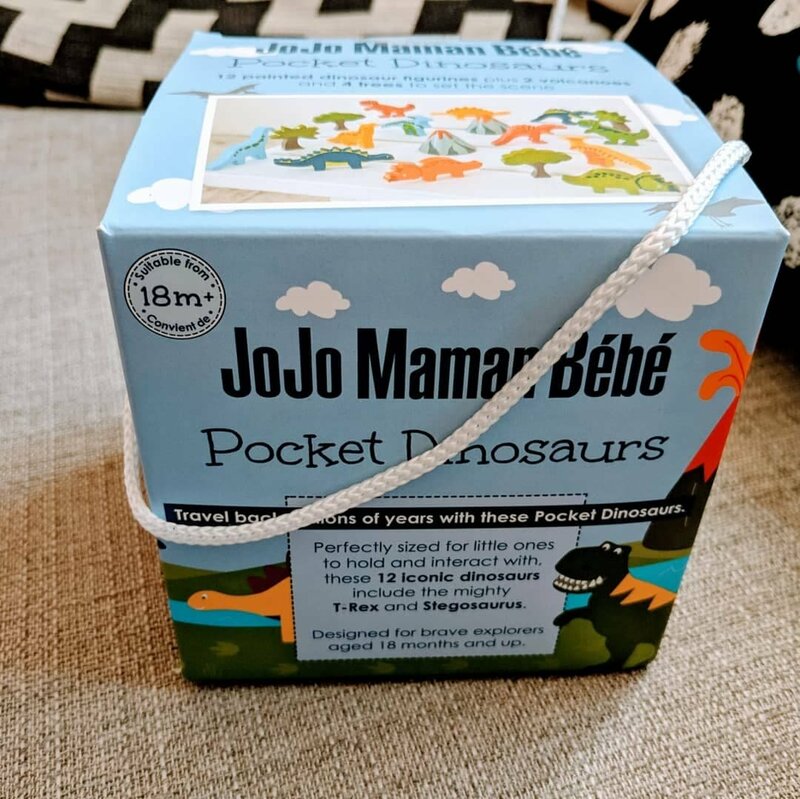 Most popper nappies allow you to control the “length” of the nappy by a series of poppers on the front, however Charlie Banana have opted to use elastic that can be loosened inside the pocket. This is just so incredibly fiddly, the first time we needed to adjust the nappy in this way it took us 15 minutes to get it right. And because these nappies use elastic it is difficult to ensure that both straps are loosened off equally, and while not particularly damning, it does bug Daddy. Most pocket nappies have their opening at the back of the nappy, and while we’re not sure of the benefits or drawbacks of this, the fact that Charlie Banana put the opening at the front throws us right out. The number of times that the Charlie Banana nappy has been sworn at is actually staggering as we’ve set it up the wrong way round mid change. There are certainly many benefits to the Charlie Banana one size nappies, but some of the small things certainly make us think twice about buying more of these nappies. That said I would highly recommend them for there absorbancy and style. When we decided that we were going to get Pixel, we wanted to pick up a few things before we got him. Specifically we wanted to get a collar, a lead, a harness, a bed and some bowls. The majority of these things were easy enough to get a hold of but we quickly realised that the vast arrays of leads and harnesses on offer were down right boring. 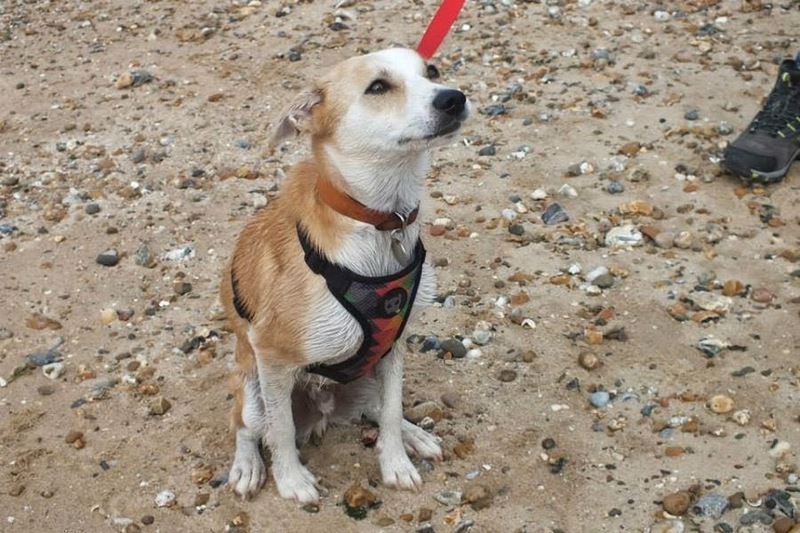 Then, one day, while browsing a pet shop I spotted a brightly coloured harness that really stood out to me, it was unique, it was the first time I encountered zee.dog. Originally gaining recognition on the crowd sourcing site Kickstarter in 2010, zee.dog promised to bring a sense of style and individuality to dogs and their owners. Since discovering zee.dog, Pixel and Dora have acquired a number harnesses, including their matching leads. 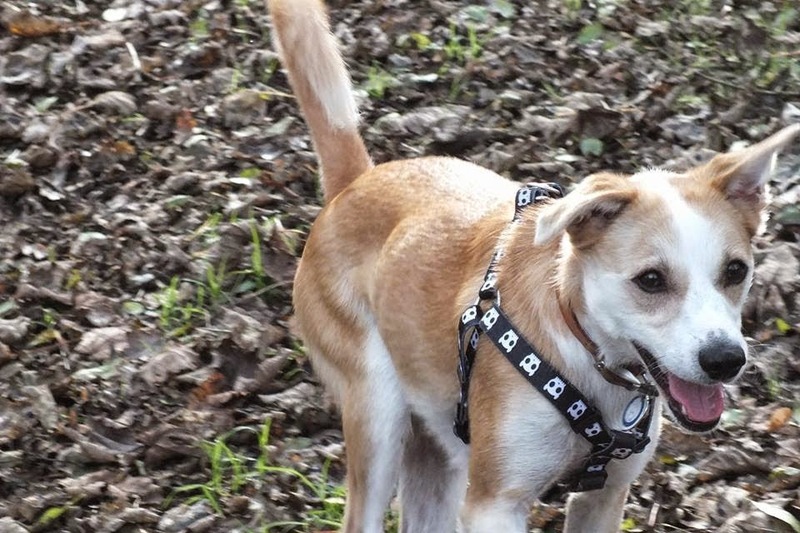 Pixel’s first harness was a vest-styled one, in the eye-catching Stardust design. This is Pixel’s best looking harness and also the most comfortable, one that he can wear all day if he is out all day for a walk or just out somewhere where he needs to remain on lead or harness. The chest piece is made of air mesh, a soft, breathable fabric that gently spreads the pressure of pulling evenly across the chest. The D-ring is also located further down the back, away from the sensitive neck and throat. 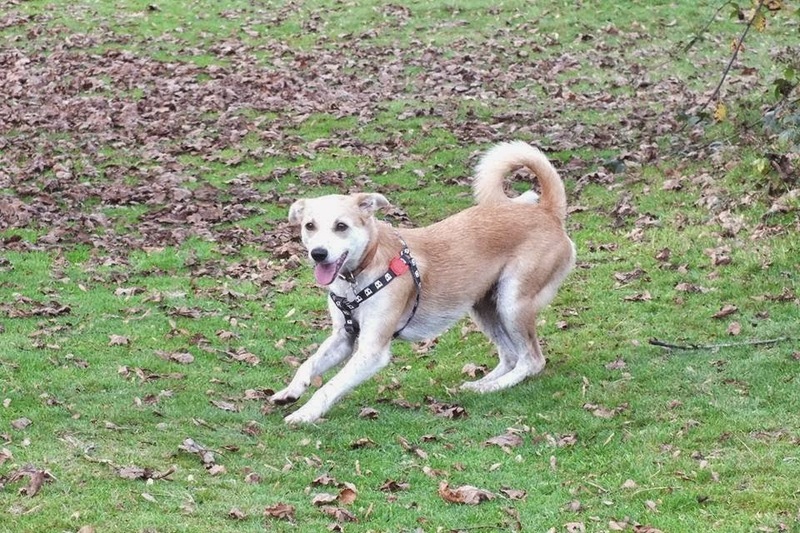 However if your dog is prone to pulling, this harness does require regular tightening otherwise the straps can loosen slightly over time, and a savvy dog (like Pixel) might be able to take advantage and slip free. This however is a fault on my part rather than the harnesses. The greatest weakness of this harness is the matching lead. Although the lead is light weight and comfortable to use, the lead is very easy to mark. In addition to his vest harness, Pixel also had two Step-In harnesses in the Driver and Skull designs. Less comfortable than the vest harness, these two allow for greater control over Pixel, the pressure is not spread out through a chest piece, so its not as easy for him to pull. Easy to put on, these harnesses fasten at Pixel’s shoulders and has two D-rings, one on each “side”, that prevents the harness from pulling or rubbing unevenly. The problem with these Step-In style harnesses is that for awkwardly proportioned dogs, like Pixel the lurcher, they can rub. After some adjustments we got them to fit but we need to keep an eye to make sure these harnesses do not rub. As mentioned previously, Pixel and I are big fans of these leads. They are comfortable, light weight and with a solid, easy to use clip. The leads are available in two sizes, one for small and medium dogs and one for larger breeds. Two small rubber zee.dog logos (a rather fun looking cartoon skull) are proudly displayed on the leads, one that sits just below the handle, providing a comfortable place to hold, and one logo just above the clip. I would happily recommend the zee.dog leads and harnesses because they look good, because they are comfortable and because they work, but there is more to it than that. zee.dog is more than just about fun and good looking products, they want to make a difference too. For every lead sold, money goes to the Dogs on Deathrow charity, and it makes me feel good supporting that. I love this company not just for their products (further zee.dog reviews will be coming up), but for their ethos, they care. Pixel just loves to look good.